Samsung Galaxy A80 launched on Wednesday in an event held in Thailand. The primary camera of this phone is 48 megapixels. 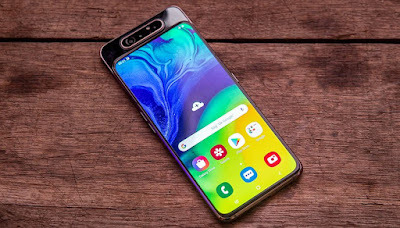 Samsung Galaxy A80 comes with full-HD + Super AMOLED display and Dolby Atomas audio integration. This Samsung phone running on Android Pie and it has an in-display fingerprint sensor. 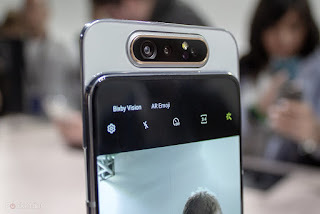 But the most important feature of the Samsung Galaxy A80 is the rotating camera. The same rear camera setup also works As the front camera. The company is talking about the 'intelligent battery' feature on the phone.it optimizes battery life based on the user's routine. 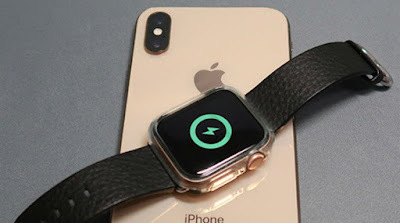 It comes with 25 Watt super fast charging technology. Let explain in detail about Samsung Galaxy A80 price, release date, specification, and other features. There is no price announcement of price by the company But Samsung has confirmed that the phone will be available in Angel Gold, Ghost White, and Phantom Black colors. It is not clear when the handset will be launched in India. The smartphone has a 6.7-inch full-HD + (1080x2400 pixels) super AMOLED 'New Infinity Display'. The aspect ratio is 20: 9 and its No notch display. The most important feature of the Galaxy A80 is a camera. It has a rotating camera with triple camera setup. The primary sensor is 48 megapixels and its aperture is F / 2.0. It has an 8-megapixel camera equipped with an ultra-wide angle lens of F / 2.2 aperture. The phone also has a 3D depth camera. There is also an IR sensor. As soon as the user selects Selfie, the three cameras will automatically pop up and rotate to the front panel. The Samsung Galaxy A80 battery comes with 3,700 mAh and comes with 25 Watt fast charging support. its comes with an android pie with Samsung one UI. The dimensions of the handset are 165.2x76.5x9.3 millimeters.